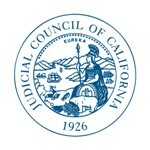 SAN FRANCISCO—Diversity on the California bench is increasing gradually along every measure, according to a legislatively mandated annual report released today by the California Administrative Office of the Courts (AOC). The AOC released demographic data on the ethnicity, race, gender, and sexual orientation of California state judges and justices. Government Code section 12011.5(n), requires the AOC to collect and release aggregate demographic data on California state judges and justices by March 1 every year. This is the seventh year that the information has been collected and released. Responding to the questionnaire is entirely voluntary for judges. The current data reflects the demographic makeup of the California bench as of December 31, 2012. The total number of justices and judges included in this year’s report decreased slightly compared to the year before, from 1,677 in 2011 to 1,656 in 2012. • Some Other Race—1.1 percent in 2012 compared to 0.2 percent in 2006.